Volunteers who work full-time jobs often use their weekends and evenings to participate in community service. Now, some employers are providing employees with paid volunteer time off for mentoring at their local after school program or working at a nearby soup kitchen. 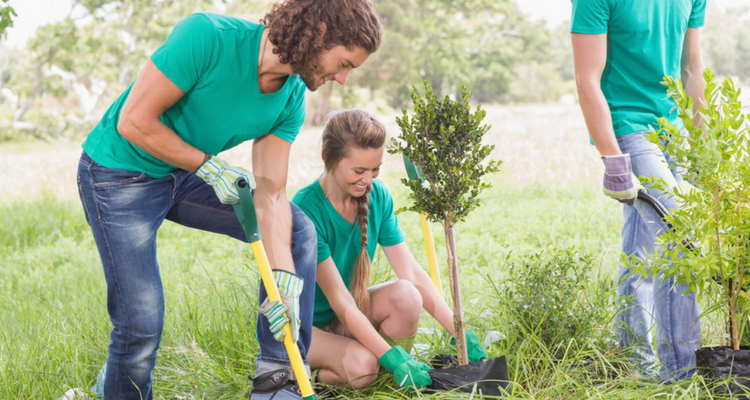 This growing movement to provide paid volunteering time off (PVTO), empowers more employees to engage in service, while acknowledging the ones already doing so. Though the private sector has garnered most of the attention around PVTO, many local governments across the country are starting to develop their own programs. For some governments, this type of program might seem well-intentioned yet idealistic given their limited resources. However, organizations are finding that these programs are not only supporting community service, they are also benefiting the workplace. Feeling connected to the community. Local government exists to serve the community, and employees feel more connected to this mission if they have more opportunities to serve in other ways. This might prove especially true for those who work “behind the scenes” and don’t often get to see firsthand the positive outcomes of local government efforts. Improving morale and productivity. People are uplifted by engaging in community service, and that energy translates back into the workplace. One of many studies, a 700-person experiment conducted by the Social Market Foundation and University of Warwick found that happy employees were up to 20% more productive than the control group. Attracting the new workforce. Local governments need to compete with other sectors for the talent in the growing millennial workforce. Deloitte’s latest survey of Millennials found that alignment of personal values with organizational values is one of the most important factors in considering employment. Providing PVTO is one way for local governments to show a commitment to their values. Setting a community example. By promoting community engagement programs, local governments can set an example for employers across sectors. In the UK’s 2015 general election, David Cameron pledged to make it mandatory for UK employers to provide employees with three days paid days off for volunteering. This movement is spreading around the world, and it can start in any community. Looking to start your own PVTO program? Here are some of the most important lessons learned from both local government and private sector coordinators who have gone through the process. Publish a clear process. In order to avoid confusion about how the program works, make sure the PVTO limits and regulations are clearly laid out in writing. While your specifications might look completely different, the Town of Mooresville, North Carolina produced a great example of a clear PVTO policy. Have a point person. Not all governments will be able to have a dedicated Volunteer Program Coordinator like Jamie LaDuke in Aurora, CO. But they will be more successful if they ensure that someone incorporates the program’s operational duties into their job. Leverage existing relationships. As the company Buffer found when they implemented an employee volunteering program, many of your employees are likely already volunteering. Paying attention to what people already care about will help the program resonate and build off the momentum from people who already volunteer. For Mooresville, this meant expanding their approved agencies to include more non-profits as well as the local school system. Ensure regular and open communication. If employees need approval for PVTO, the program coordinator should make sure managers know the process and policies. Open communication between coordinators, managers, and employees will also help avoid potential understaffing issues and increase opportunities for group volunteer trips. Share your experiences. One of the best parts about volunteer programs is the ability for employees to talk about how they were able to help their communities. Greer suggests talking the policy up at staff meetings, organizing group volunteer days, using employee testimonials to market the program, and honoring folks who volunteer. This both encourages employees to take advantage of the program and helps make it a part of the organizational culture.